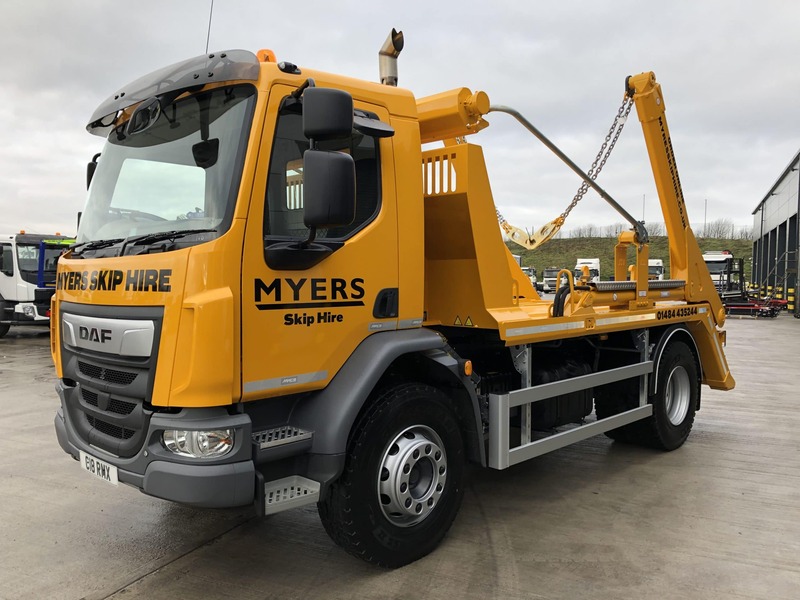 Local Company, Myers Skip Hire take their first Skip Loader. A DAF (2019) LF230 with fitted 14 Ton Lift VDL Skip Equipment with Sheeting System. From all of us at Mac’s – Happy Trucking! If you require a Skip Loader or any other vehicle, don’t hesitate to give us a ring on 01422 377285! You can count on Mac’s.